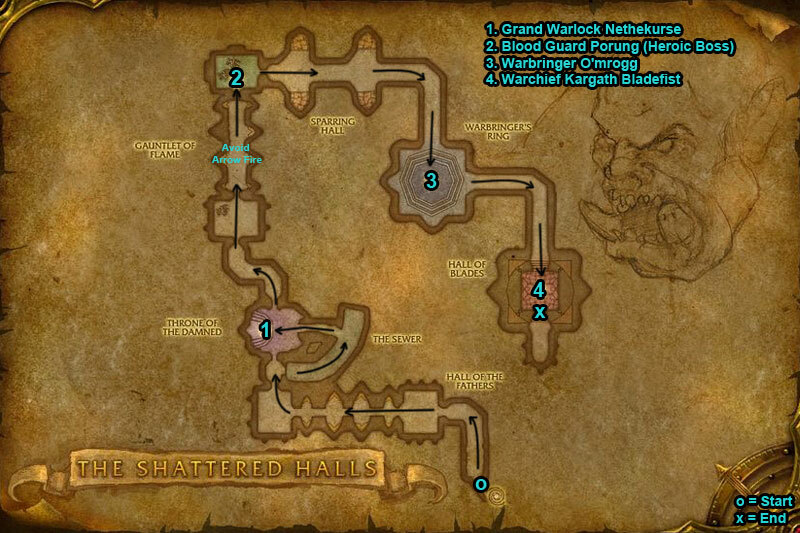 You can find The Shattered Halls dungeon within Hellfire Peninsula, Outland. Look for the portal entrance on the second lowest level. /i Death Coil damages & causes a player to run in horror, also heals boss for damage caused. Lesser Shadow Fissure (red circle & pink lines) appear under a player inflicting damage, move away. Spins at 25% dealing more shadow damage. 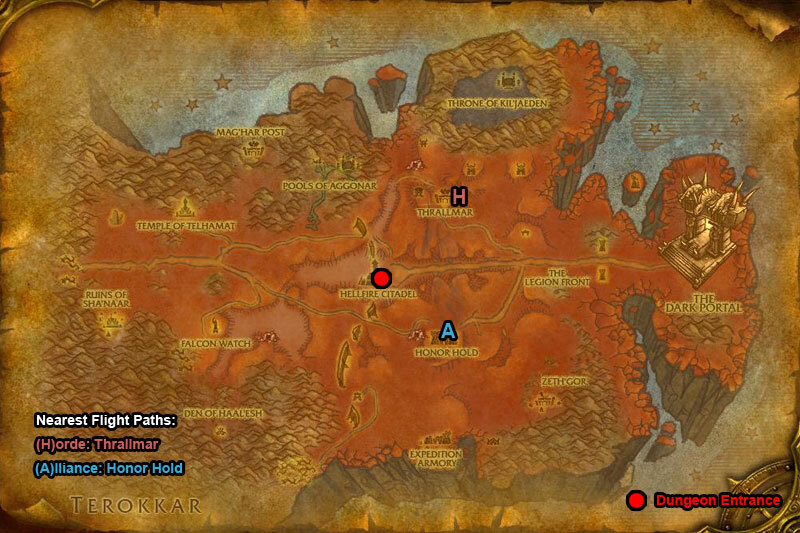 /i Uses Cleave inflicting physical damage to a player & all nearby. /i Thunderclap hits all nearby reducing attack speed & movement. Fears all nearby players. Burning Maul deals extra fire damage with his melee. Blast Wave hits all nearby reducing movement speed. /i Blade Dance charges random players & also hits others nearby. Guards will inflict physical damage to players, kill them quickly. Heroic Differences: Uses Charge on a random player damaging & stunning for 2 sec.